I love the holidays. I love making all the delicious food, and am a pretty good cook if I do say so myself. I love how it brings families and friends together to celebrate the past year. And I love the decorations too… but not the kind of decorations that require multiple trips into the attic to get 50 totes out of storage and so many lights your electric meter spins around so fast it might fly off. My favorite thing about the holidays is the DIY aspect of it. 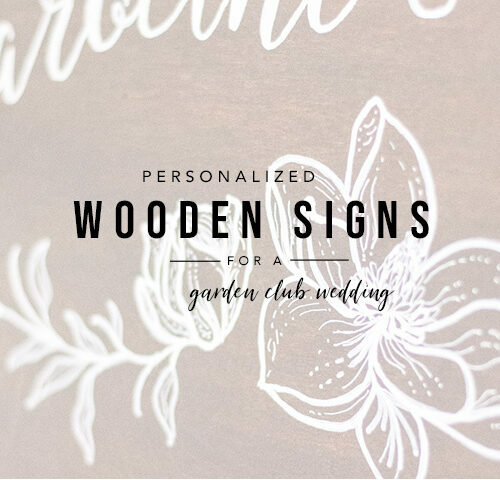 I’ve talked about this in previous blog posts, how I love when brides DIY their wedding decorations too. I believe we’re all capable of making beautiful decorations without having to spend lots of money. 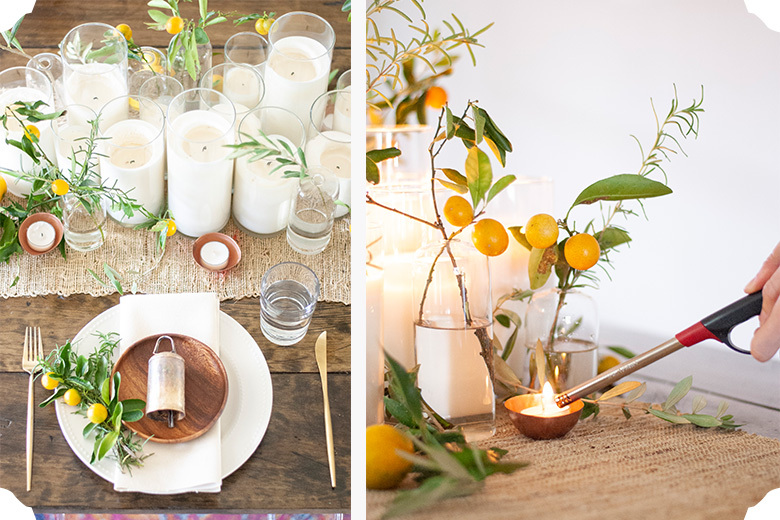 And that concept, being able to do a simple holiday table setting yourself while still create absolute beauty, is the inspiration behind this Holiday Tablescape using locally grown greenery and citrus that you can grow right in your own backyard. And the best part of this journey? 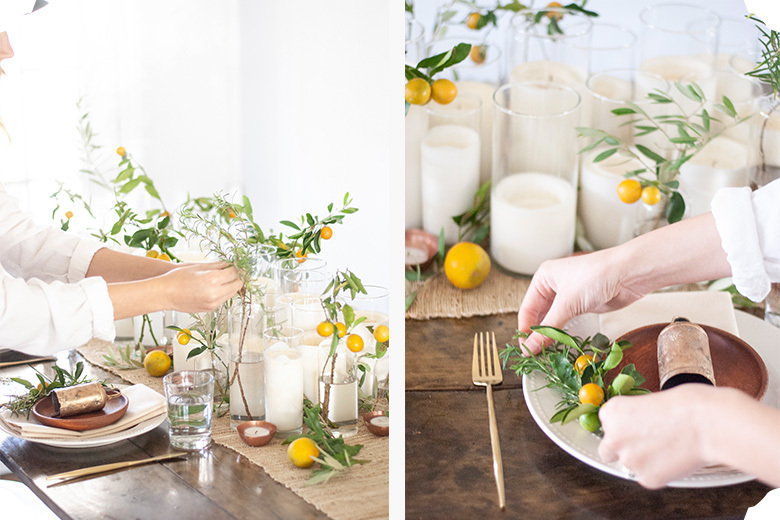 I got to experience the wonder of Caroline, with Moonstruck Florals, working her magic as she turned stems of kumquats and olive branches into an absolutely stunning work of art. Check out our adventure and the end result below. Caroline and I met at a TuesdaysTogether meeting some time ago and I’ve been itching for a chance to work with her ever sense. 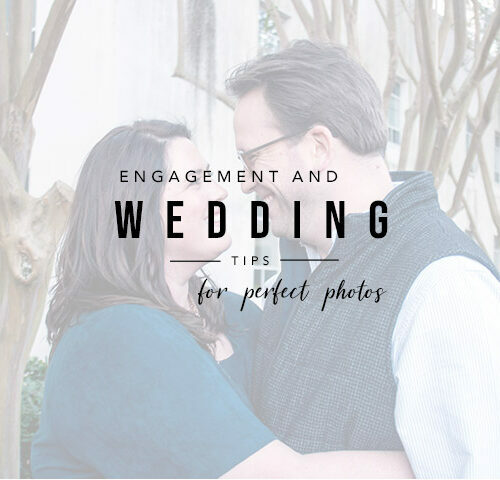 We still haven’t had the opportunity to do a wedding a together but when the idea for this blog post started forming in my mind, there was only one florist I kept thinking of – Caroline. So we met for brunch at one of our favorite places, SoDough, and started hashing out the details. 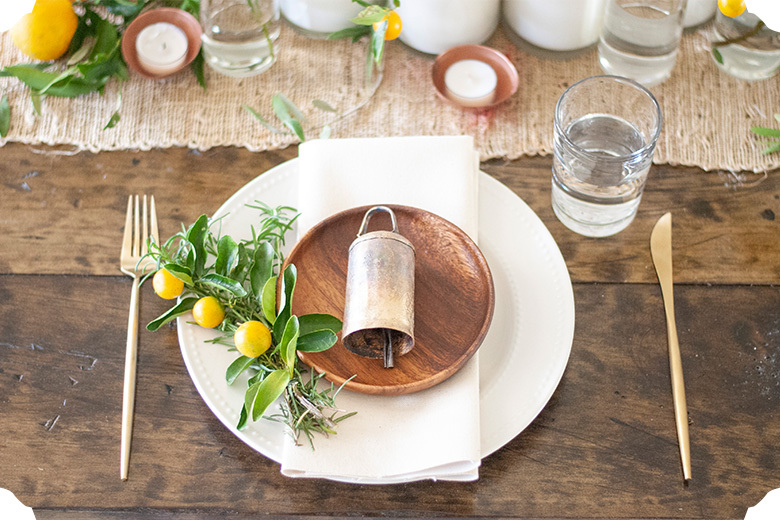 A simple holiday table setting. Using found foliage native to the area. And it just so happens of my favorite clients is a nursery that happens to specialize in native plants, Just Fruits and Exotics. The atmosphere at their nursery is like walking around in someone’s beautiful backyard, full of blooms, herbs, trees and citrus. And that’s exactly the backdrop I envisioned for this shoot. Caroline and I made our way to Just Fruits and Exotics on a cloudy Thursday afternoon. Which, for me, clouds make the most beautiful light outdoors so I was thrilled. However, it started to lightly rain once we started walking around. So imagine me walking around with two cameras and a bright floral-print umbrella following Caroline around who’s got a five gallon bucket and purple shears. I’m sure some of the nursery employees thought we were crazy but they still graciously hosted us and let us do our thing. And thank you a thousand times Caroline for mucking around a nursery with me in the rain as we searched for the perfect plants to use. And a big shout out to Just Fruits and Exotics for being so welcoming. 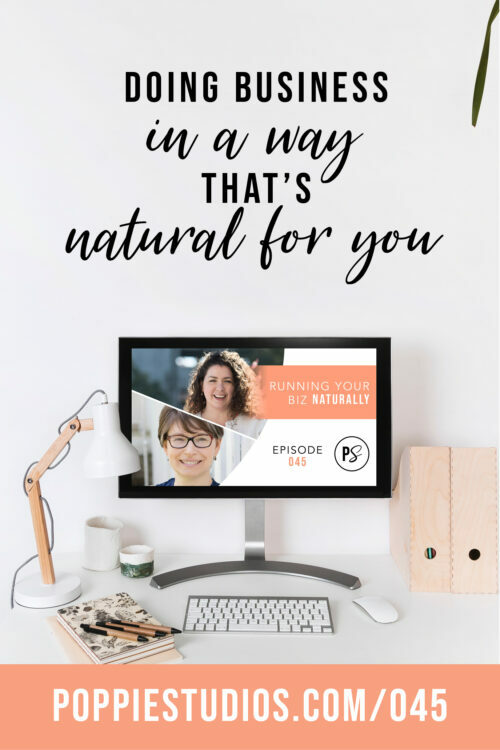 They love helping people learn about plants and are such experts when it comes to what’s native, what will work in your own yard and encourage people to plant edible landscaping. Yes to this! My kind of people! My front flower bed is filled with rosemary. One, because it smells absolutely wonderful when it rains. Two, I can clip it and keep stems of it in bud vases all year round or make a quick simple holiday table setting on the fly if need be. And three, it’s edible so I’m throwing rosemary into lots of dishes when I cook! We’re in the midst of redoing our backyard (think lots of tree, limb and leaf removal and getting natural grass to grow). 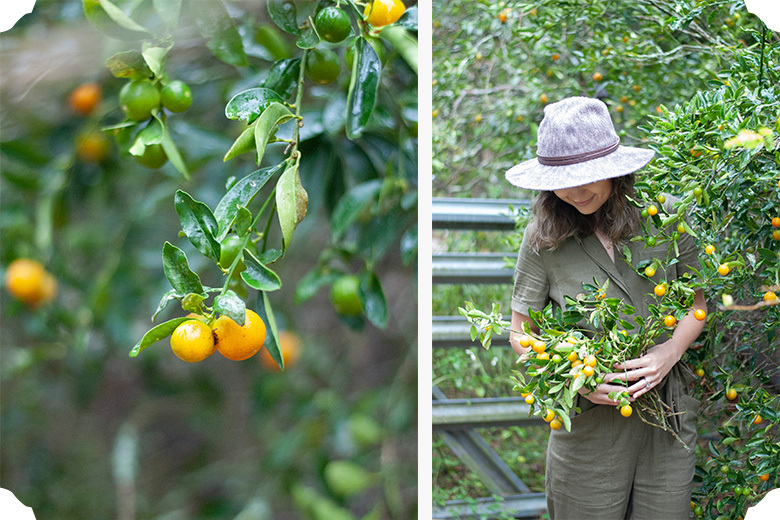 But once it’s ready and sustainable, we’re planting citrus trees – and this shoot convinced me I need a kumquat and an olive tree. Years ago in a coffee table book, I saw a floral arrangement that included white ranunculus and several varieties of citrus (tangerines, trifoliate oranges and persimmons). 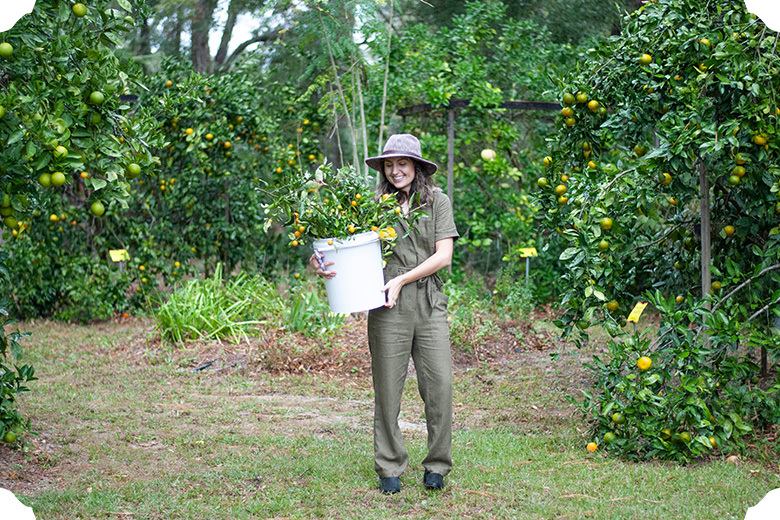 So when we made our way into the citrus section of the nursery, I felt like I won the lottery. It’s the little things that make my heart happy. Though these giant citrus trees were anything but little. They’ve been on the premise for decades and were so large, so full of fruit, they required trellises around them to hold them up. Gorgeous. Absolutely gorgeous. It’s what I want my backyard to look like one day. We stayed right up to closing time and would have been happy to get locked in overnight too! But we packed our hull in Caroline’s vehicle and saved it for Saturday, we when could really start creating and bringing this vision to life. Caroline arrived to my home with a carload of amazing goodies. 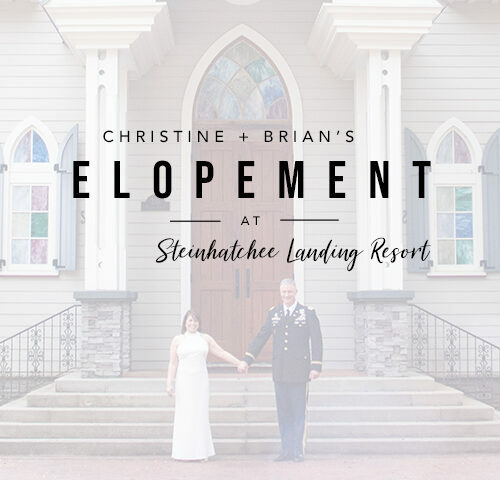 The white candles were from her own wedding and were hand-poured by her mother-in-law. You guys. There were stunning. And exactly the kind of elegant DIY decorations I’m in love with. Find discount or wholesale cylindrical vases and white candle wax and you can create some simple yet gorgeous and timeless candles. When we were foraging around the nursery, we weren’t exactly sure what we wanted the end result to be. But we both knew we were in love with the kumquats and olive branches. And when Caroline saw the rosemary in my flower bed, we decided to use that too. Rosemary and olive branches are a beautiful shade of dusty-blue-green that I just absolutely adore. Pair that with a bold pop of citrus orange and some copper accents and I’m over the moon in love. White plates, simple canvas napkins, wooden accent plates and copper tea light holders all paired so beautifully together. But when Caroline brought out these handmade bells I was blown away. What a thoughtful and perfect touch for a holiday table. Whether Thanksgiving or Christmas, this color palette and those bells are perfect. 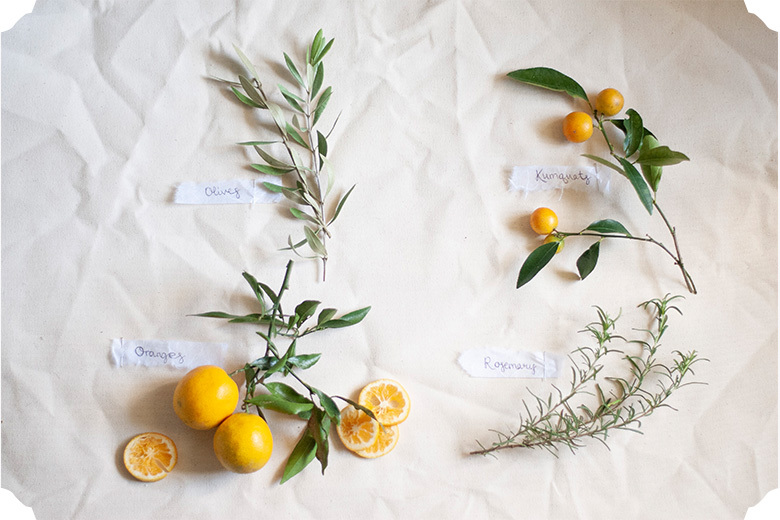 Citrus is in season just in time for these holidays and bells are a wonderful ode to Christmas. Not to mention, yet again, that I am a sucker for handmade so these bells and copper tea light holders set my heart aflutter. 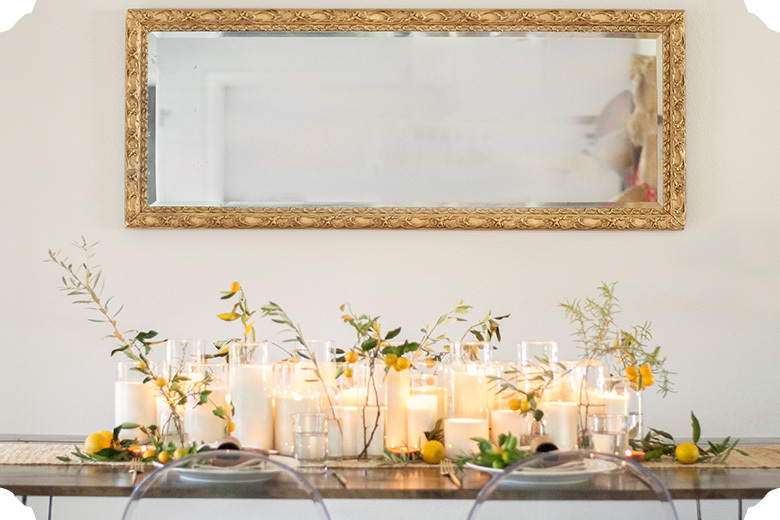 The white candles blended gorgeously with the delicate bud vases, creating a long line of white, glass and water. 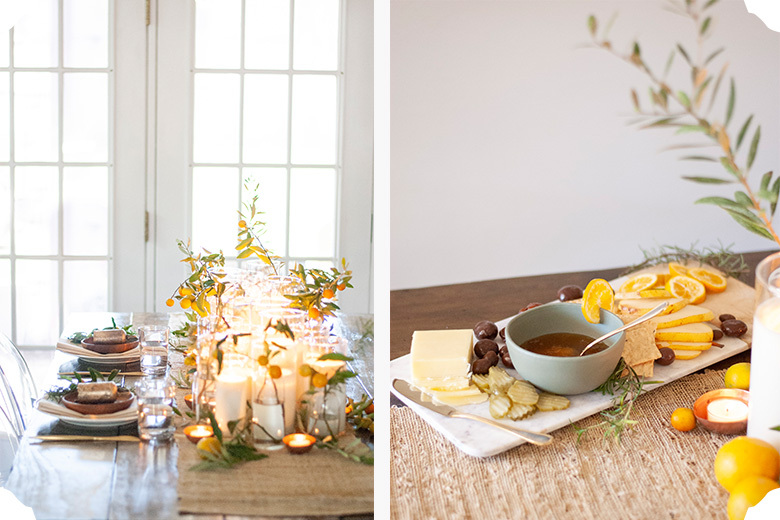 Something about this entire tablescape says Scandinavian-inspired to me. I think it’s the grand simplicity. 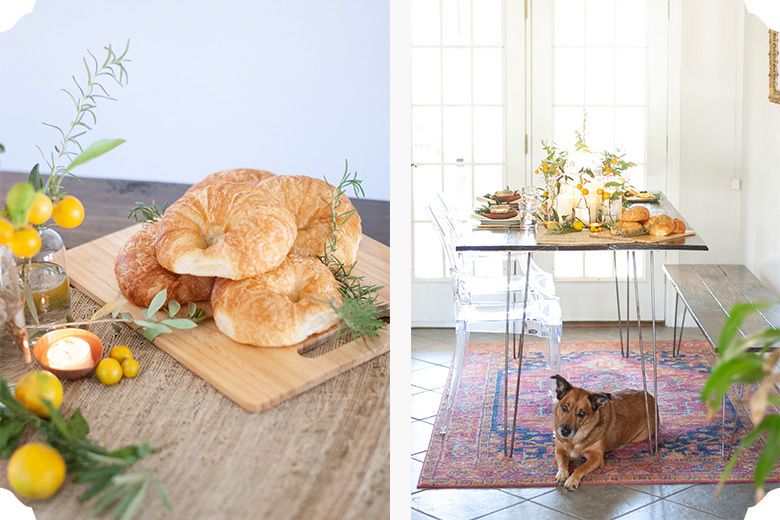 The mixed metals, backyard-foraged florals and the handmade elements (like the table which I made myself, yep, I made the table!) that really do it for me. Add in a simple charcuterie board and crescent rolls and I was in heaven. I can’t decide if I like the look of the space when the candles were unlit, or when they were lit. Unlit, the space felt bright and airy, perfect for a midday Thanksgiving lunch followed by some front yard football in the cool autumn breeze. With the candles lit though, it turned the space into something that reminded me more of Christmas dinner. The ambience of the candlelight made everything glow with a warmth that reminded me of Christmas tree lights. 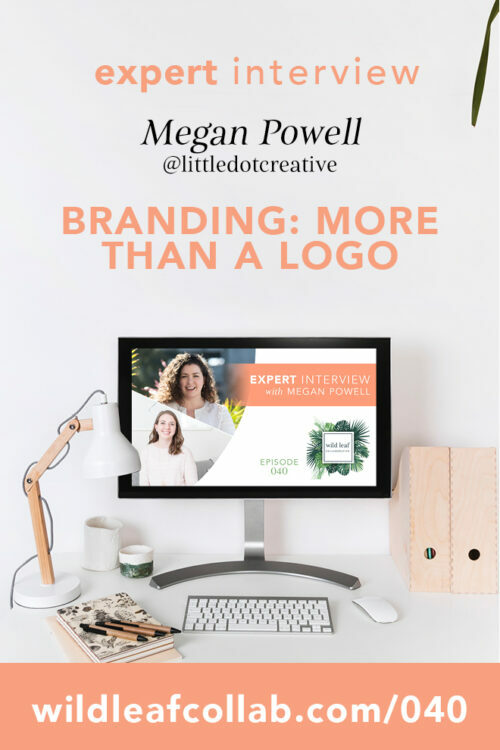 Which do you like better: lit or unlit? 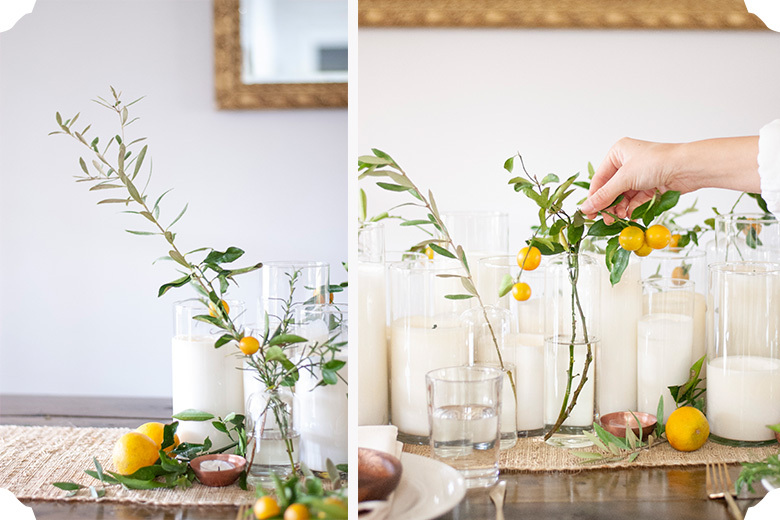 If you want to create this simple holiday table setting yourself, I’ve listed the plants we used below and am linking to Just Fruits and Exotics so you can see exactly where to buy them for yourself! 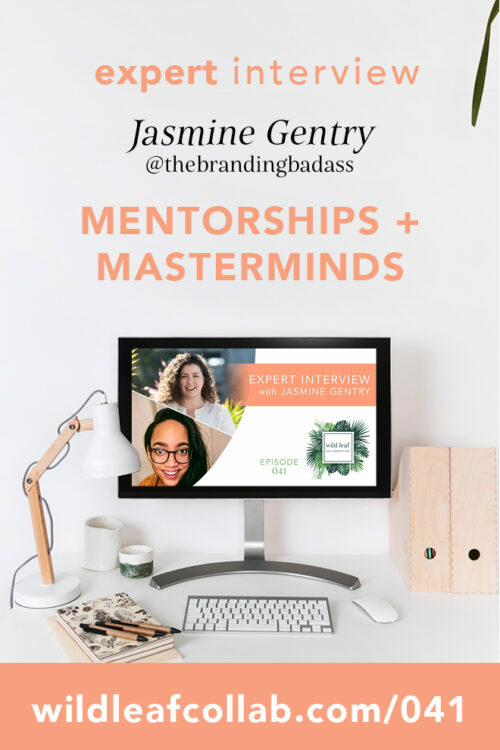 This isn’t a sponsored post, I love Just Fruits as a client and as a company because they believe in edible landscaping and taking care of the earth, just like I do. 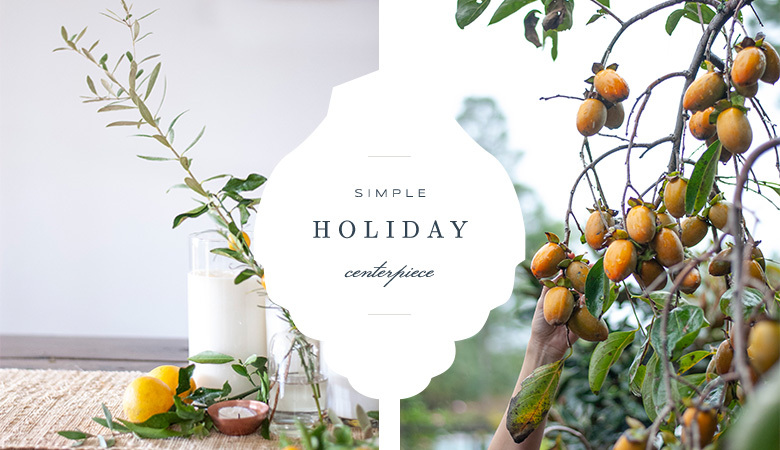 So if you want to have your own citrus infused handmade Thanksgiving or Christmas tablescape, you only need a handful of items that you can either grow, find or make all on your own. Love the natural elements! Beautiful! These are so so beautiful! Love it!